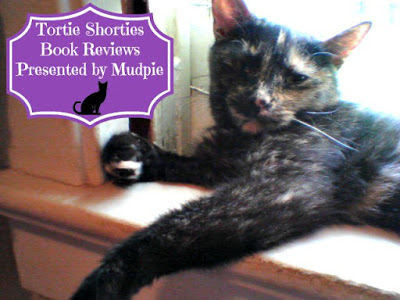 From the publisher: THE PERFECT CAT BOOK! Accessible, yet comprehensive, CAT FACTS can be used with ease and trust. And doesn't your cat deserve the very best? Some books are destined to stay on your "keeper shelf" forever. One such title for me is Amy Shojai's "Complete Care for Your Aging Cat". I think my copy must be a first edition because I've had it for years and years and it has proven to be an invaluable resource to me throughout my last few cats' senior years. 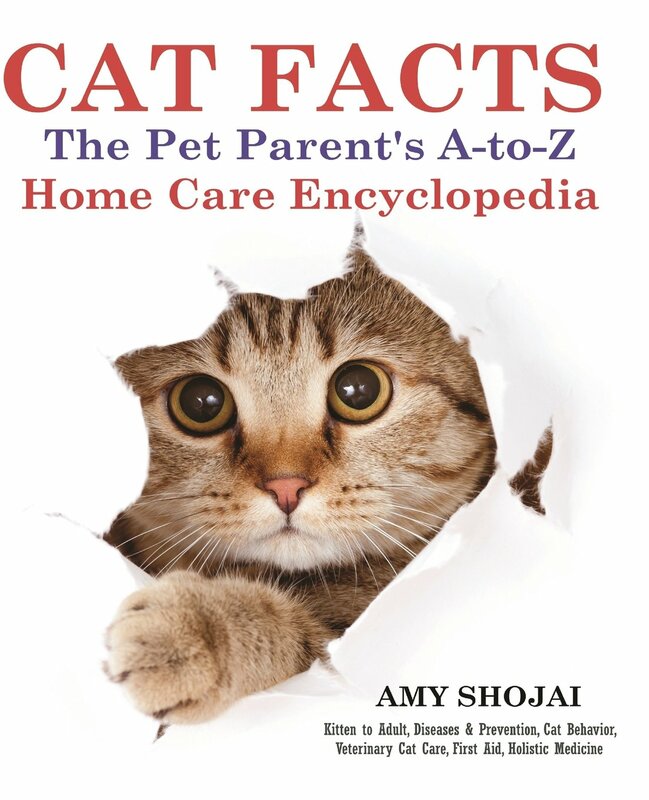 "Cat Facts: The A-Z Pet Parent's Home Care Encyclopedia" is another title that will remain on my keeper shelf for as long as I'm a cat mom. In other words, forever. It covers every medical and behavioral issue you can possibly think of in alphabetical order with symptoms, first air, home care, holistic help (LOVE THIS FEATURE!!! ), vet care and prevention. I've actually already had the opportunity to use it when I started to suspect that Mudpie's "hairball issue" might actually be asthma. While initially appearing to be a reference guide, this book is so, so much more. Color photographs, graphics and charts accompany the text along with cross references in an easy-to-read and understandable format. It might not be a book that you read cover-to-cover (although many of us interested in "all things cat" may very well do that), it's a book to always have within easy access for when an issue occurs. And pet owners know, things often "pop up" when you least expect it so it's important to be prepared. I have tons of cat care guides in my home and this is without question the most well-researched and comprehensive title I've found. You owe it to your cat to add it to your library today! Disclaimer: I received an ARC from the author in exchange for an honest review. This looks like a book that we need to add to our Cat Library!!! That sounds like a great book with lots of information. Agree with doggiecaperz, I will have to add this to our library of cat books! This book sounds like a must for any cat parent. Thank you for sharing, Mudpie and Melissa! Whoa! This is like an update to the Cat Bible that TW used to have. That would be a good book to have for any cat parent. I know I will always have a cat or cats in my home.